Ready for a career in computer programming but not sure where to begin? Learn three of the most important programming languages: Java, SQL, and C++. With Programming: Computer Programming for Beginners by Joseph Conner, you'll learn the coding skills you need to build a broad range of apps for PCs and mobile devices. This edition is fully updated with all the current information. You'll start by learning all the basics, so you have a solid foundation for more advanced skills. Do You Want to Master The Python coding language and Raspberry Pi 3? The Python coding language and Raspberry Pi 3 are the perfect options for you to go with if you are just learning how to work with the world of computers and technology. 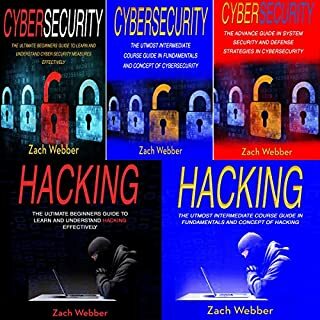 Both of them have been designed for those who are not used to working with programming and technology in the past but want to learn how to get started. 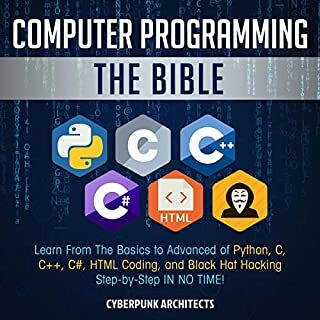 This guidebook is going to take the time to explore both of these topics so that you can start your programming adventure. 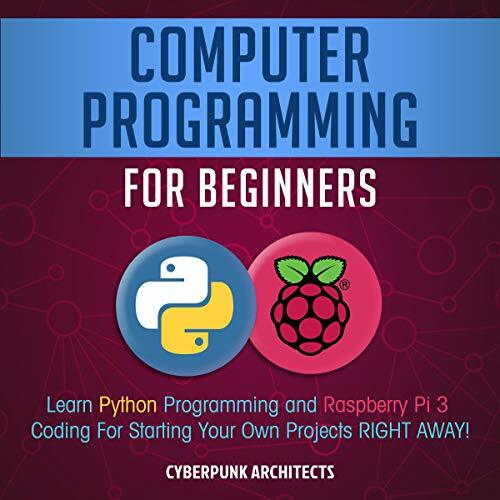 In this guidebook, we are going to look at everything that you need to know about the Python coding language, the Raspberry Pi 3, and how these two can help you start programming and creating your own projects. What the Python language is. Why you should learn how to program using a coding language. How to make conditional statements. Some of the basics of the Python code. How to work with exceptions. How loops will make a difference in making powerful codes. What the Raspberry Pi 3 is. How to configure the Raspberry Pi 3. The different hardware and software specifications that are needed for this device. The different accessories you can choose to work with. And some projects that you can work on with the help of the Raspberry Pi 3. 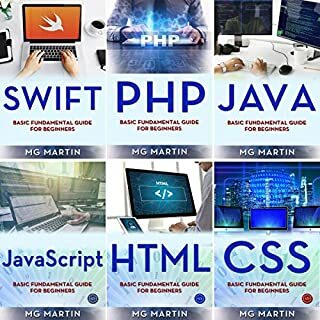 When you are ready to get started with the world of programming but do not really have any experience in it, make sure to check out this guidebook to help you take those first steps. Click “Add to cart” and make the greatest investment in your knowledge base! As you write out some of your Python codes, you may find that you can work on multiple inheritances at once. When you do multiple inheritances, you are going to find that each level has some similarities to each other. short but sweet. narrator has a lovely voice but difficult at times to hear. overall a pleasant portrayal. If you want to learn python programming then get this book. Its will guide you about that. Its a very learning book. Great informative book. Marvelous Book! The essayist of this book has finished an amazing action and delineated everything clearly, so I didn't face any issue to perceive any part. I really appreciated how approachable this book made Python. I'd recommend it to anyone interested in learning Python, no matter how much experience with programming they have. This author likes to write things “Python Programming” and I think done extremely well. You guys should check other books by the same fellow, perfect example of how to simplify complicated things. I would highly recommended to listen this book everyone. This book gave me a lot of information. This book is awesome to listen and i think this book is the best book of this topic, and i really appreciate this book. 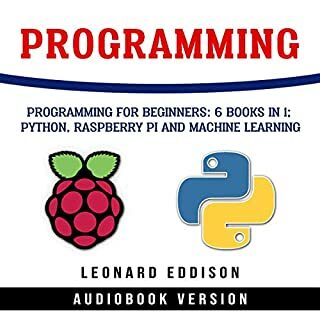 I listen through this book to familiarize myself with the concepts of programming in Python. With the second listening of this text and doing the programming exercises, my comprehension of the material is improving. This book is packed with a lot tips, tricks,practice codes and other stuffs. Although this is not for beginner but beginner also can follow because the writer explained everything step by step and with understandable way. This is a great learning book about python. A great step by step guiding procedure. Learning content. Great informative book. 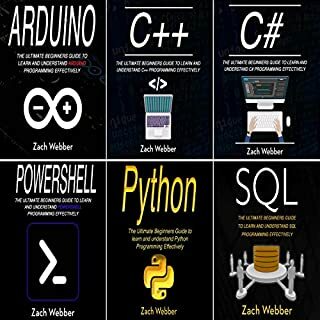 If you want to be a programmer so that's the perfect and exact book for you. This guide for beginners. It is a very helpful book to me.Highly recommend it.So i suggest the book everyone. The content are very much useful and a lot of things here to learn what will help you in your daily life. Excellent book. Gets you coding right away. This book is solid. It covers all the core topics i would want to know about python. 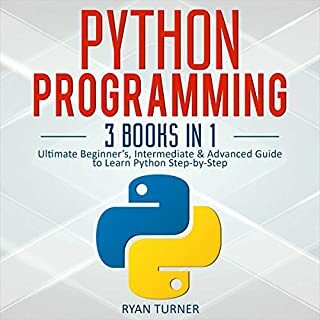 Python Programming is very informative as well as useful book.Step by step information is really informative.easy to listen and understand.Thanks author! There are many different things that I was able to learn what to do with the Python language, and this guidebook aimed to help me get started with a few of the more complex parts that I may want to add into my code. I love it. As a scientist I cannot progress in some research projects without knowing how to interpret and write Python scripts. This book is amazing. I recommend this book for everyone. I became interested in Python through embedded computing world and its growing use in education, data analysis and machine learning. As an intro to Python, this book is fantastic. I've read many books on many programming languages. This one is the simple one! Thank you, Ryan Turner.